There’s no official explanation yet of what people reported in the skies over Detroit last Thursday night. Levy was with a group of friends in Flat Rock around 9:30 p.m. on Jan. 10, according to Fox 2 News reporter Ron Savage. “In fact, our Fox 2 Facebook page has been blowing up with hundreds of posts on the subject,” Savage reported. Was he referring to the Air Force’s famous Project Blue Book, which ended a two-decade-long study of UFOs in 1969, concluding that five percent of the cases — approximately 700 sightings — investigated could not be easily explained away? What did Perkins mean when he said the Air Force “found no official proof”? Proof of what? 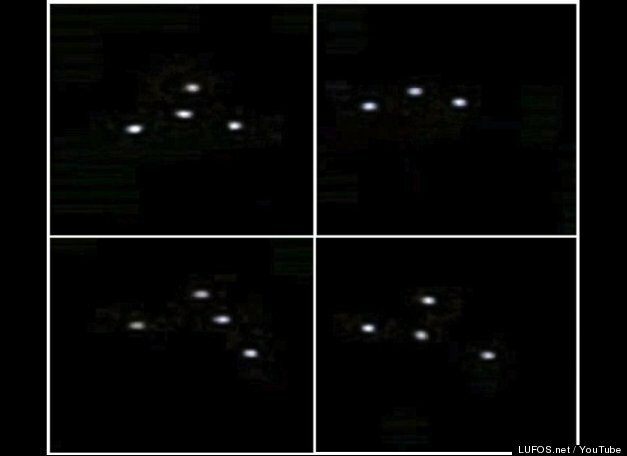 While Detroit-area observers wondered what those triangular shaped aerial objects were, also on Jan. 10, almost 20 miles north of Detroit, in Warren, Mich., an equally puzzling object was recorded on video. As reported by Latest UFO Sightings, the bright lights on this object turned on and off, as it went through a variety of shapes, including a triangle. Check out this UFO seen over Warren, Mich.
Michigan was home to one of the most infamous of all UFO sightings in history. In 1966, while he served as the official Air Force scientific advisor to Project Blue Book, astronomer J. Allen Hynek declared that a UFO sighting in Dexter, Mich., was probably caused by “swamp gas,” a term that would haunt Hynek for the rest of his life, and one which has often been cited around the world since then. Hynek’s swamp gas theory even angered then-Michigan Congressman (and future president) Gerald R. Ford, who said in a 1966 radio broadcast, “I believe Congress should thoroughly investigate the rash of reported sightings of unidentified flying objects in southern Michigan and other parts of the country. “I feel a congressional inquiry would be most worthwhile because the American people are intensely interested in the UFO stories, and some people are alarmed by them,” Ford said. Almost 50 years later, not much has changed.